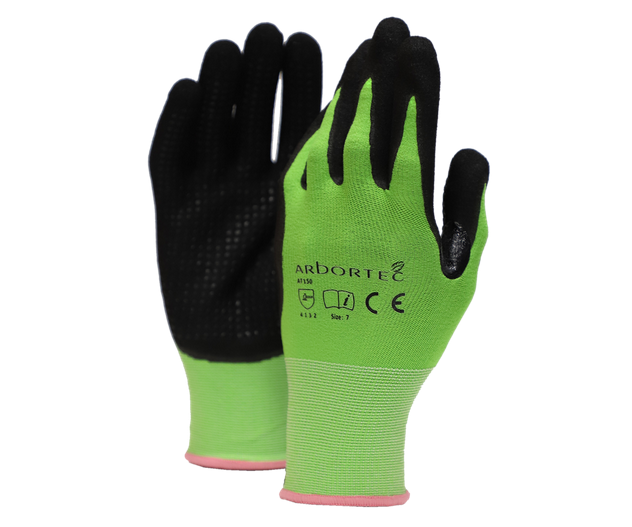 Lightweight and dextrous glove made from polyamide for durability, with spandex for close fit and comfort. Microfoam nitrile coating on palm and fingers, with matrrix grip pattern. Reinforced thumb crotch area to increase lifespan of glove. Colour coded cuff edge for ease of size identification.